All pricing you see on the shop is our base pricing; this is the price without any discounts. In order to see sale discounts, membership discounts, or coupon discounts you have to add an item to your cart. You can see a detailed break down about How Pricing Works if you'd like more information. There are listings in the shop that do not qualify for any further discounts. This is because they are already priced as low as possible. Any listing that does not have any further discount does have a line at the bottom of the listing that has a "Super Savings" icon or states "There are no further discounts". 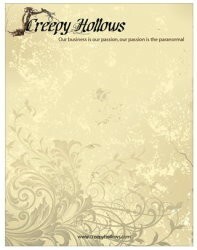 There are also specific categories that do not have any further discounts because they are offered by affiliate companies or they are already priced at a discount: Altar Statues, Supplies, Decorations, Aromatheraphy, Soaps, Body Magick,Clearance, Limited Time Only, Magic Jewelry, Third Party Affiliates, Witchcraft, Pagan, New Age, Wiccan, Occult, Spiritual Supplies & Tools. If you see a sale logo at the top of the shop homepage then you know there is a site-wide sale going on. If you add an item to your cart you will see the sale discount. On top of sales we also have Customer Loyalty discounts. We know how to spoil our collectors and we have an extensive Customer Loyalty Program. We provide ongoing, permanent discounts to repeat customers that can range between 20%-55% off. You can read detailed information about our Membership Discount Program which is free to all members (Eterna is the only paid membership). If you sign up for our Daily Emails or our Text Alerts you will get additional offers, exclusive coupons, and more. As you search the listings in our shop you will see some listings with a specific vessel pictured and that is the exact vessel you will receive. Most of the listings will have a representative picture of the type of spirit or spell described then you will choose the type of vessel you wish for the binding. We offer an expansive selection of vessels, you can see our Vessel Selection & Examples for detailed information. The majority of the bindings are done this way because we have found over the last decade most collectors & Keepers want to choose their own vessel for their binding. You can always check the latest update for shipping time on our Shipping Status Update page. We strive to have orders out within 7-10 days with the only exceptions being customized bindings or Third Party offers. 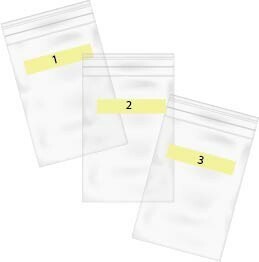 You have two options for your packaging. We offer a completely private option which is "Electronic"; vessels are shipped without paperwork. Or you can opt to have all paperwork printed and shipped with your package. You can opt for either of these in your profile. To see your profile log into your shop account and then click on the "My Account" link on the right-hand side of the screen. We are a green company who also values your privacy. 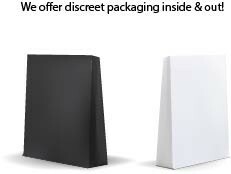 All of your bindings come to you in discreet packaging. No matter who may open your package they will not know the contents inside are metaphysical-related. If a binding requires instructions you will see a download link for the instructions inside of your order invoice that is emailed to you at the time you place you order. If you have a spirit then you will see the detailed spirit notes for your custom conjuration. If you have a prebound spirit you will receive an electronic copy of their information inside of your order invoice that is emailed to you at the time you place your order. We like to keep our collectors & Spirit Keepers as well-informed as possible at all times. 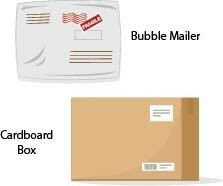 We make sure you have all the information you need before your package even arrives. If you ever have any questions at all we have a responsive Helpdesk. All Creepy Crew staff members respond to customer questions within 24-48 hours (except on weekends).